If you have a ski house that you only frequent on the weekends, you know the process of turning on the heat and waiting for the house to warm up. It can be a drag. Or if you're like millions of people who forget to shut their garage, you know that feeling of wondering whether you shut it or not, with little recourse but to drive all the way back home, only to find out that you DID shut it, after all. But pretty soon, turning on the heat or shutting your garage from your iPhone or Android phone will be a typical convenience. And, increasingly, and particularly after smartphone penetration shot above 50% this past February (according to Nielse Mobile Insights), consumers are demanding connected devices, and we're not talking just tablets. It's no wonder, therefore, that companies like Arrayent are lining up appliance makers that can turn your dishwasher into one that can tell you when it's in need of repair, order parts, and maybe one day in the future - repair itself. Arrayent, a Redwood City, Calif-based platform for connected products announced Tuesday that it's partnered with Whirlpool, Pentair and First Alert to power their connected products from dishwashers to thermostats to garage door openers. Arrayent provides a platform that can help these big brands turn on connectivity at a much lower price point than some alternatives. For instance, for Whirlpool to power up one of its refrigerators, it would likely have to commission expensive connectivity solutions, and get its IT departments to write custom software. By using Arrayent, a brand can pay an incremental cost of around $12 to make a thermostat a connected one, said Shane Dyer, CEO and founder of Arrayent, in an interview. "The fundamental thesis of Arrayent is that each of these companies don't have to build this platform for their internal IT," said Dyer, adding that brands want to sell connected devices because they also help create a relationship between the brand and the customer. "These app-connected customers are valuable to these brands because they can understand how customers are using their products and they can establish a brand relationship with them." Arrayent doesn't provide any hardware or materials to make the connected product, but it does provide specs, recommendations and appliance embedded software for brands to connect to the Arrayent cloud platform. Arrayent essentially provides "an operating system for connected products that live in the cloud," Dyer explained. Since Arrayent doesn't make money on the making of the device, it makes money for the connectivity as it is the one managing and deploying servers across multiple co-location facilities to manage the load. To this end, Arrayent charges based on how many devices it's handling for a particular brand. Dyer said that Arrayent is currently powering hundreds of thousands of devices. On top of the connectivity, Arrayent charges for other services, such as storage, to information and statistics on energy consumption and savings to usage history. For instance, how many people actually use the "jean cycle" on a washing machine, Dyer asked. If the washing machine was a connected app, the manufacturer would know. Arrayent, which has raised $1.5 million from angels and venture capitalists since launching in 2004, currently works with 12 brand customers. 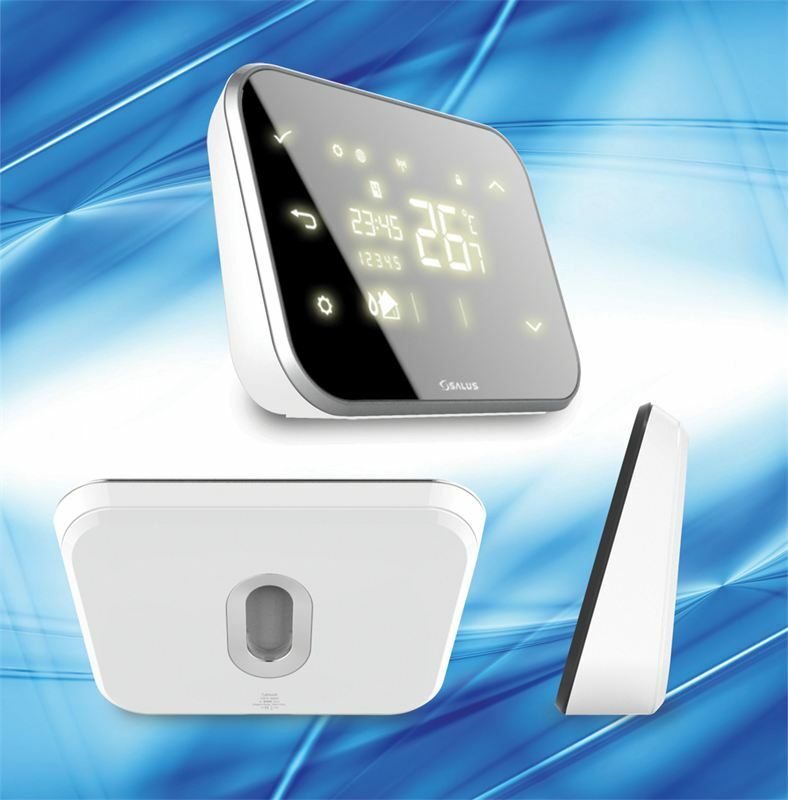 Among some of the products already in the market include the Huntefan thermostat, which sells for less than half the price of the Ness connected thermostat, which sells for around $250. Some Whirlpool connected devices are expected to be available in 2013. Arrayent expects to see 20 new connected devices launch in the new year. Arrayent's mission is to enable consumer OEMs to build lasting connected customer relationships by delivering engaging connected products. Arrayent's Internet-Connect Platform delivers a turnkey communication service that connects your products to smartphone and web applications at low cost, scalable way, with a simple DIY installation process.